Besides the Official Section, the Festival offers a series of parallel activities under OFF FILMETS. A series of sessions aimed at the young audience, as well for directors and professionals. 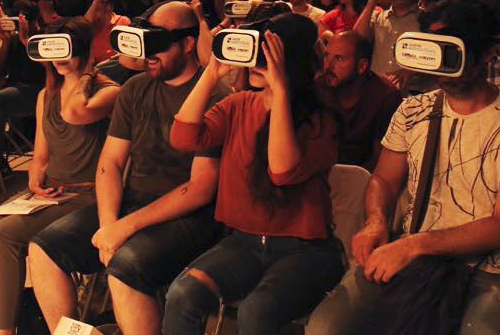 Inside OFF FILMETS we can find FILMETS Pro, where the audience will have the opportunity to see two meetings with professionals and a masterclass. Presentation of the Italian fund for co-productions between Catalonia and the region of Apulia (Italy). In the context of the call for the Apulia Film Fund 2018/2020, with a total endowment of 10.000.000 euros, this session is a unique business opportunity for the Catalan production companies. It will be a meeting point to promote new audiovisuals projects and agreements, reinforcing the cooperation between Catalan and Italian productions from the region of Apulia. After presenting this fund, in which Apulia is described as a land of cinema, there will be a brief presentation of the projects of Apulia, that we will coproduce in the FICTION, DOCUMENTAY, SHORT FILM, ANIMATION and TV FORMAT categories. Afterwards, there will be rounds of individual meetings with the Catalan and Italian production companies interested. 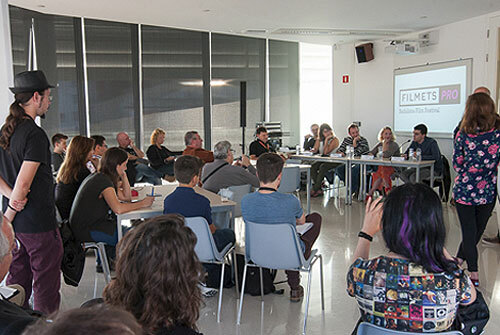 Session organised by FILMETS Badalona Film Festival, the Catalan Audio-Visual Cluster, the Italian cluster Distretto Produttivo Publia Creativa and the Apulia Film Commission. Josep Roig Boada, musician, composer, music producer and sound engineer of Temps Record. Pitching: Move to short film! 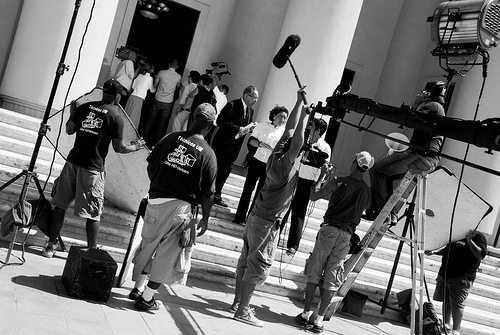 The cinema markets at your fingertips, with the most experienced professionals of the moment. The markets are the best window to spread and distribute your short film. Learn how to move your short and know the most important markets in the world. Roundtable with Jacopo Chessa from the National Center of Cortometraggio and director of the TSFM Torino Short Film Market (Italy); Camille Hébert-Bénazet, Director of the Short Film Corner of Cannes (France); Javier Muñiz, director of the Short International Contest of Soria (Spain) and Clarissa Jacobson, producer and scriptwriter (United States of America). Coproductions Catalonia-Apulia (Italy): Business opportunitiesMasterclass AnimationPitching: Move to short film! I have read and accept the web form clause. I have read and accept the sending of information of Badalona Communication. In compliance with the Organic Law 15/1999, of 13 December, on the Protection of Personal Data ('LOPD'), we inform you that the personal data and information you provide us with the web registration form, will be Incorporated in a personal data file owned by BADALONA COMUNICACIÓ, SA, in order to be able to manage the application for accreditation to access all the activities of the Festival. You can exercise your rights of access, rectification, cancellation and opposition by sending a letter to the postal address: C/SAN AGUSTÍ 11, 08915, BADALONA (BARCELONA). In addition, and in accordance with what is established in article 21 of Law 34/2002, of July 11, on Services of the Information Society and Electronic Commerce, we expressly consent to send you any advertising or promotions that may Be of interest, by email or other equivalent means. You may at any time revoke the consent given to the receipt of commercial communications, as established in article 22 of this Law, sending your request to the email dir@rcb.es.